Last month I received a request from one of our high school team members to shadow me for the day at work. I’ve been working with Eat’n Park Hospitality Group for 14 years and this was the first time I’ve received this type of request, so of course I agreed! Jenni is a senior at South Allegheny High School in McKeesport and works at our McKeesport restaurant. Jenni will be graduating this year and will be studying Environmental Science at St. Vincent College in Latrobe. 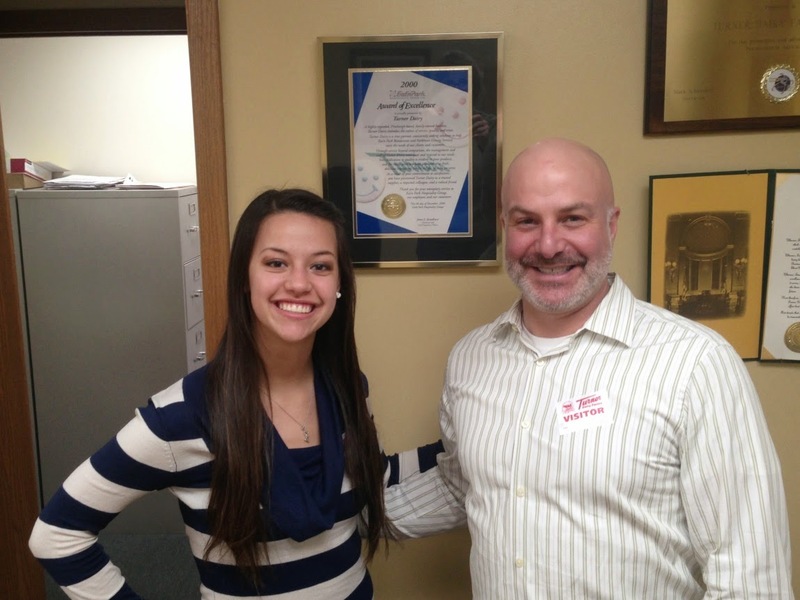 She selected me to shadow because she was intrigued with Eat’n Park Hospitality Group’s sustainable efforts. During her visit, I shared with her my responsibilities as well as some of the company’s sustainable accomplishments that I’ve been involved with. We then had an opportunity to meet with some key individuals who make Eat’n Park what it is today. The latter part of the day was devoted to a tour at Turner Dairy Farms in Penn Hills. We’ve been partnering with Turner Dairy Farms for many years, and I felt this was a good way for Jenni to really understand our relationships with our local suppliers. During the tour, Jenni had a chance to see where the milk, sour cream, buttermilk and cottage cheese are produced for her Eat’n Park restaurant. Jenni is an ambitious young lady that has a sound understanding of environmental sustainability. She’s passionate about the environment and will be an asset to any company after she graduates. Our day ended and we both went our separate ways, but I have a feeling that this will not be the last time I’ll see Jenni I had a great time spending the day with her, and I wish her the best of luck with the next chapter in her life. 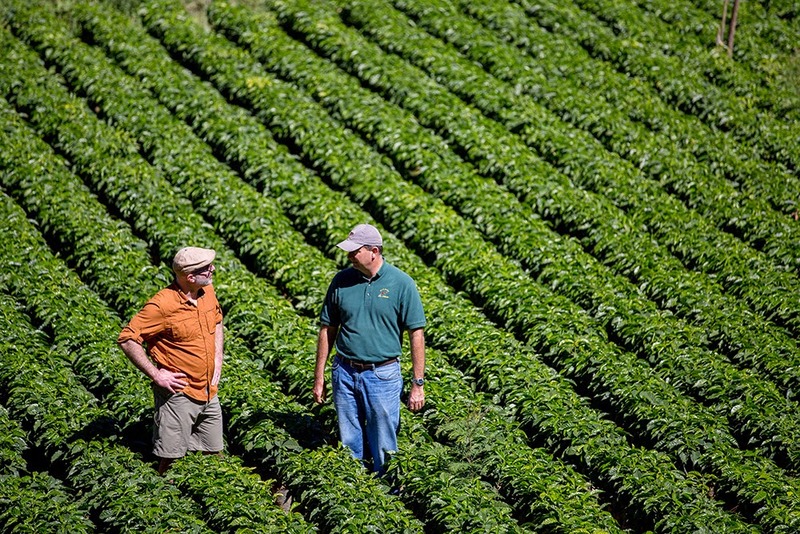 Have you ever wondered where our coffee comes from? I’m here to tell you the story…all the way from Costa Rica! In my role for Eat’n Park Hospitality Group, I’m responsible for knowing the sources of our foods. So I packed my bags and headed to Costa Rica to become more knowledgeable about where our coffee is sourced. The specific plantation, Hacienda La Minita is located in Central America, which is a 6 hour flight directly south of Pennsylvania. La Minita is located in the coffee-producing area called “Los Santos,” which is roughly a 1½ hour drive south of San Jose. The plantation consists of 1,200 acres of land, of which 680 acres currently being used for coffee production. Of the remaining 520 acres, there are 200 acres of natural forest preserve located on the south side of the farm that will never be brought into coffee production. Although there is a section of the farm that approaches 6,000ft in altitude, the central block lies between 3,750ft and 5,000ft, the ideal altitude for growing coffee. The farm faces west, which allows for gradual warming in the morning and slow cooling in the evening. Approximately 2,500 trees are planted per acre on the 680 acres of land currently in production. The exact number depends on the geography of the area being planted and the variety of trees used. This results in a total of about 1,700,000 trees on the farm. There is a five-year rotational pruning system in place. 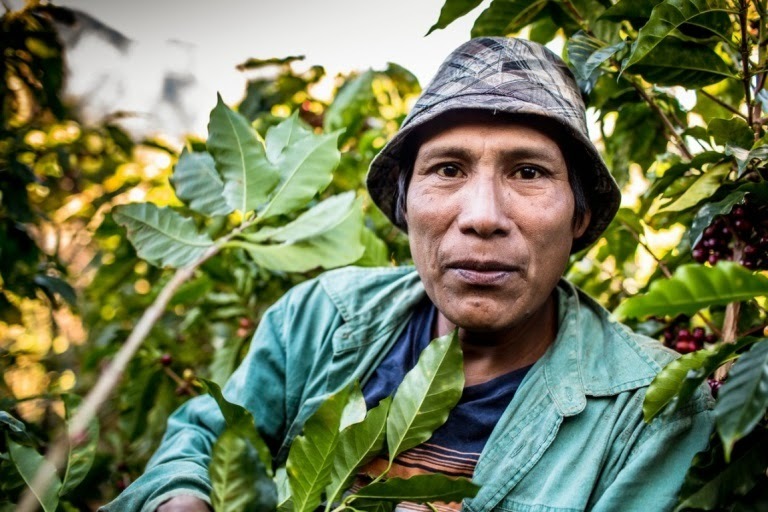 Every fifth year, the coffee tree is cut down to approximately 20 inches in height, retaining the lower branches. This will encourage the tree to begin new growth. One year after this cutting, two primary shoots are selected for the next four years of production. All of this work is performed by hand. Each year roughly 350,000 trees are pruned. After three cycles of pruning, or fifteen years, the trees become exhausted and are replaced with trees from La Minita’s nursery. This nursery is located on a small, protected area of the farm. The nursery trees are nurtured on the farm for one year prior to being transplanted to the main farm. In a typical year, they transplant about 150,000 trees. 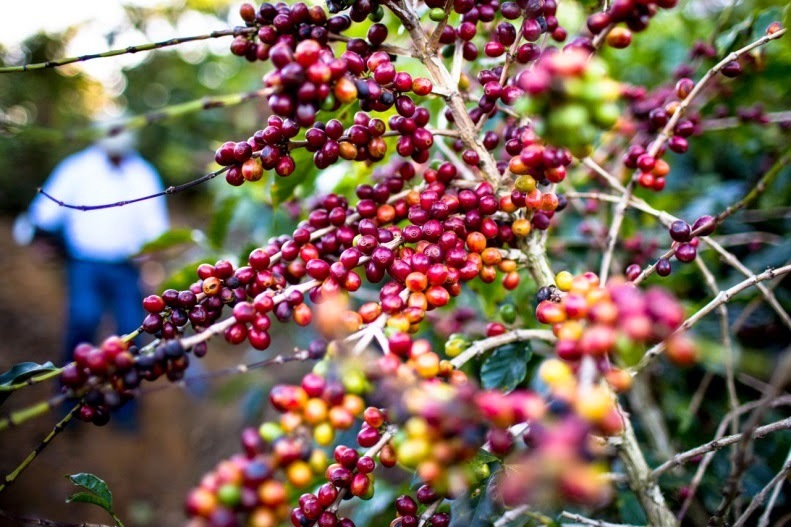 One crop of coffee is grown each year. The cycle begins with the first rains of the year, which normally occur sometime between the end of March and the beginning of May. The timing of the first rain is essential, because the rain signals the trees to begin flowering. Approximately ten days after the initial rains, small honeysuckle-like flowers form on the trees. This flowering is critical to the coffee crop. The node where each flower forms will produce a single coffee cherry. Within this cherry are the coffee seeds which will become the coffee bean. If the flowering is adversely affected by the weather, pollination will not occur, no cherry will form, and there will be no coffee. From the onset of the initial rains, they enter into the seven-month rainy season. During the rainy season, there will typically be four to six hours of rainfall every day. These rains nurture the trees while encouraging the growth and development of the green coffee cherries. The rains also encourage the growth of weeds among the coffee trees. Since they don’t use herbicides to control weeds at La Minita, they use machetes to clear the weeds by hand. Each year, every acre of the farm is weeded three times. With the end of the rainy season (November) comes the ripening of the coffee cherries. The large green cherries begin to turn red when they are ripe and fill with the sweet miel (honey) that surrounds the seeds. Only the ripe fruit is picked, leaving the still unripe fruit for subsequent pickings. Most trees are picked up to five times to harvest the fruit. Once the fruit is harvested it’s sent to the benificio or coffee mills where it is washed, sorted by size, then dried. The dried bean is then shipped to our coffee roaster, Distant Lands, to be roasted. La Minita has a core of 80 full-time employees who are provided with housing on the farm for themselves and their families. This includes managers, farm workers, clerical staff, drivers and maintenance personnel. This workforce grows seasonally; over 600 pickers join the core team to help bring in the harvest. The plantation also assists their workers by actively supporting them in their lives outside of working hours. They contribute matching funds to the workers’ association savings plans, and operate a medical clinic right on the farm. A doctor staffs the clinic two days a week to administer to the needs of the workers and their families. Three days a week a dentist visits the farm to attend to the dental needs of the farm community. 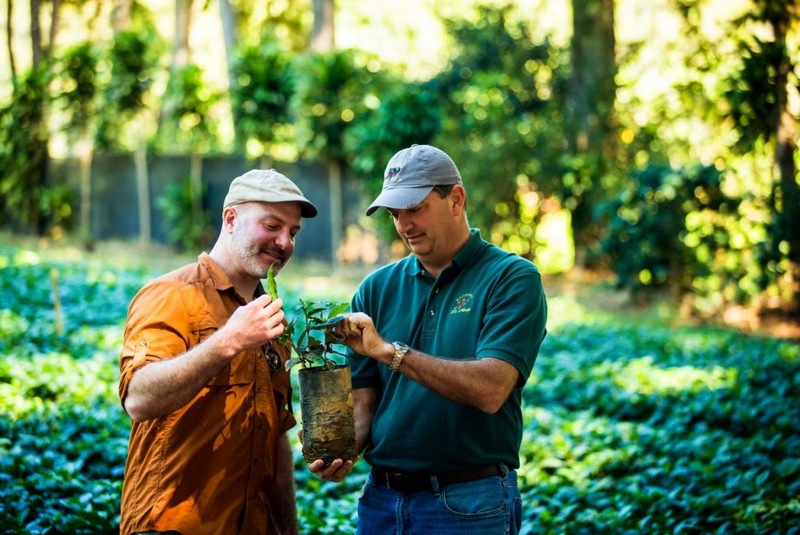 As we continue to work directly with growers and producers, our focus is to find the highest quality products, as well cultivate partnerships with companies that follow high social and environmental standards. We do that by asking many questions and visiting farms and production plants to see for ourselves how our products are produced – just as I did when I visited La Minita. We believe that because of this commitment, each cup of Eat’n Park coffee offers a distinctive and delicious flavor – and we hope you agree! Whether you’re enjoying a cup with friends over breakfast in our restaurants, or brewing your own at home with our new Single Serve Coffee Cups, we’re hopeful that you can taste this quality in every sip. To learn more about my visit to Costa Rica, check out this video. Did you hear? We’re now offering Single Serve Coffee Cups! 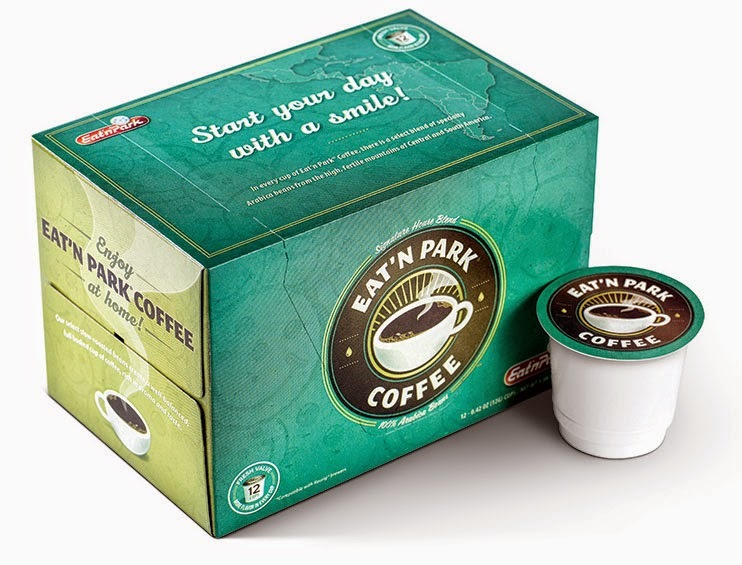 That’s right folks; you can now enjoy a single cup of Eat’n Park coffee at work, home, on vacation…almost anywhere! Available at all Eat’n Park restaurants, Single Serve Coffee Cups are just $7.99 and include 12 individual coffee cups. Want to know what makes our coffee different? Check out this video to see where and how our beans are grown! You can also click here to learn more about our recent visit to La Minita plantation in Costa Rica, where our coffee beans are grown. Spring is officially here, which means we've got some great new Smiley items that are sure to brighten up your day! Perk up your morning with our new Smiley "Keep Calm and Smile On" 16 ounce ceramic coffee mugs! It's always easier to smile after you've had your coffee for the day! These great mugs are only $6.99 and are available at all Eat'n Park locations. We've got something for everyone, and our new Smiley baby bibs are the must-have accessory for your little one. They're the perfect way to keep a smile on those little faces! 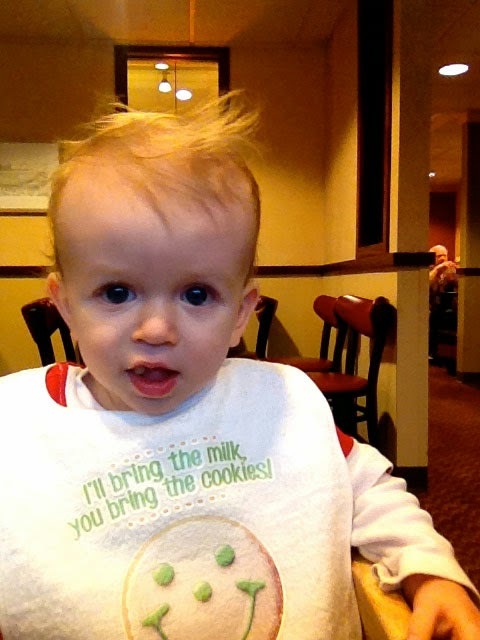 Bibs are available at select Eat'n Park locations (see list below) for just $6.99. Be a Pittsburgh original! Our new vintage-inspired Smiley T-shirts will let everyone know that you're a proud Smiley and Pittsburgh fan. They're available in sizes S-XXL at select Eat'n Park locations (see list below) for $9.99. Smiley merchandise is limited, so stop in today! • Airport – Moon Twp. Breakfast is kind of our thing, and that's why we're so excited to announce some new items on our breakfast menu that are sure to become your new morning favorites! You've never had French Toast like this before! 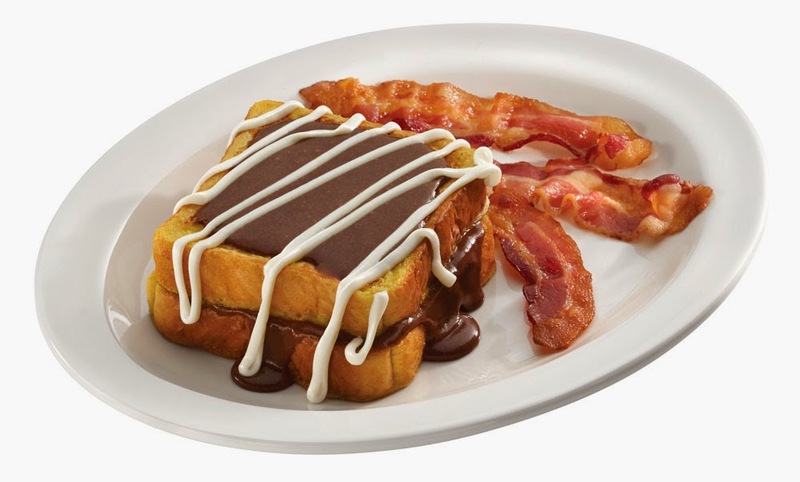 Our new Cinnamon Roll French toast has two big slices of grilled Texas toast with a warm cinnamon roll filling! To sweeten the deal, we drizzle it with our delicious cream cheese icing. 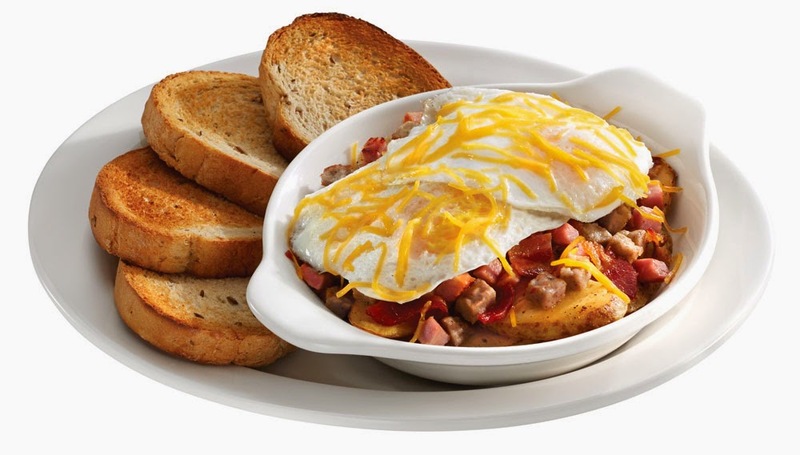 This sweet breakfast treat comes with your choice of bacon, sausage or turkey sausage. Pure deliciousness for just $4.99! 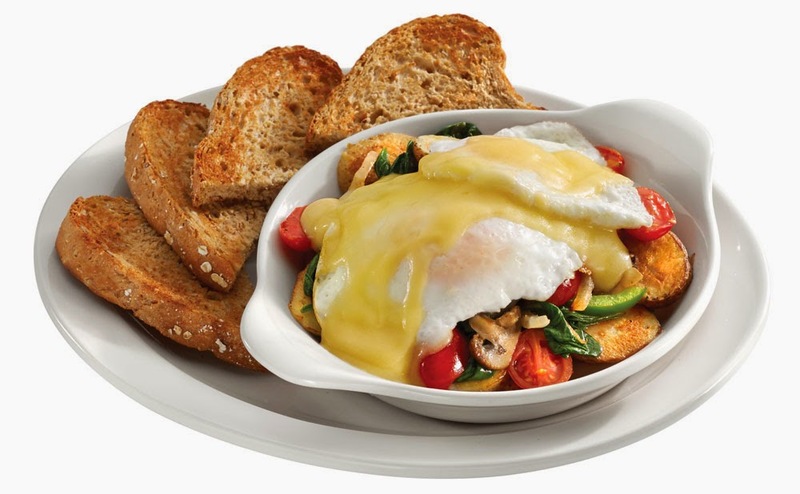 First up is our new Veggie Lover's Stack, chock-full of fresh spinach, tomatoes, mushrooms and peppers. 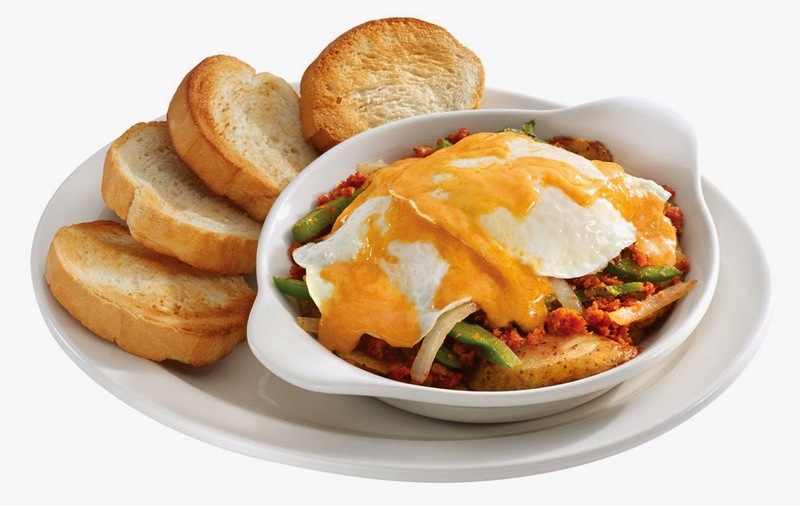 We add in caramelized onions and home fries, and top it off with two over-easy eggs drizzled with hollandaise sauce. 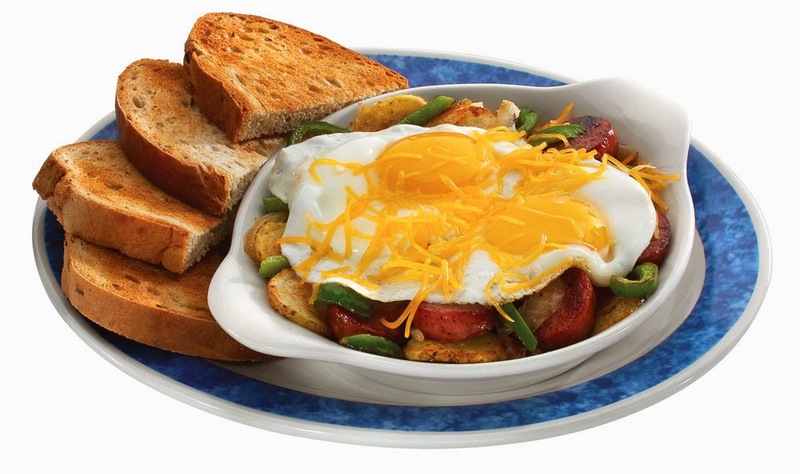 Served with your choice of toast for $6.99. The Park after Dark: Late nights just got even better at Eat'n Park! Check it out: we've got some exclusive new additions to our late-night menu that you're going to love! Read on to see why the best place to end your night is at "The Park After Dark"! 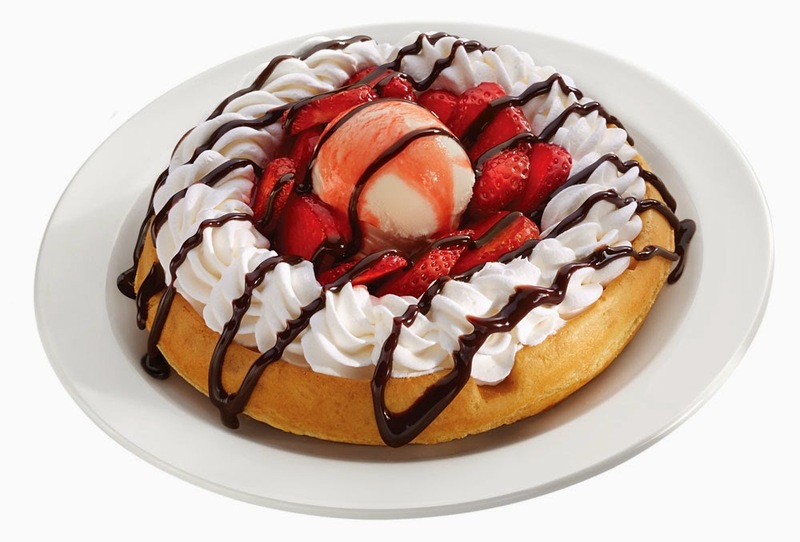 We take our delicious homemade waffle, top it with a scoop of vanilla ice cream, add fresh strawberries and whipped topping, then drizzle it with rich Hershey’s chocolate syrup. It's part breakfast, part dessert …and totally delicious! No need to adjust your screen – you're seeing double! 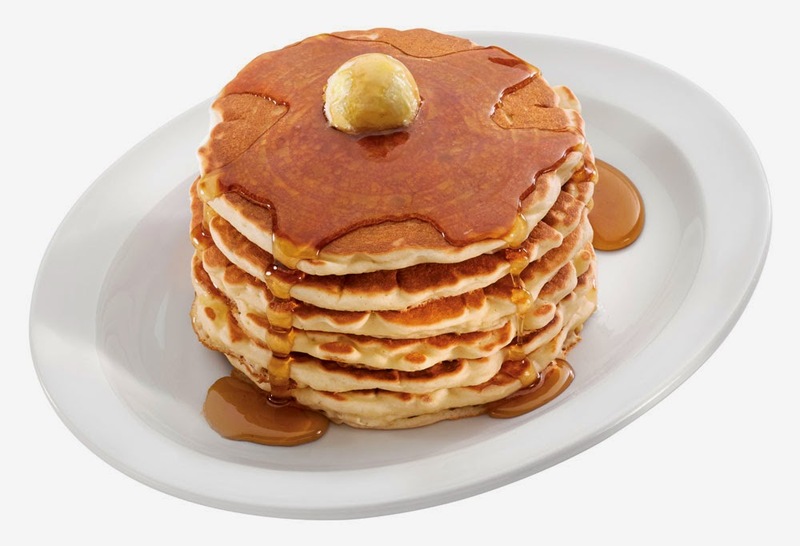 This big stack has six of our fresh, buttermilk pancakes piled high and waiting for you. Pancake lovers unite! Cheesy deliciousness! 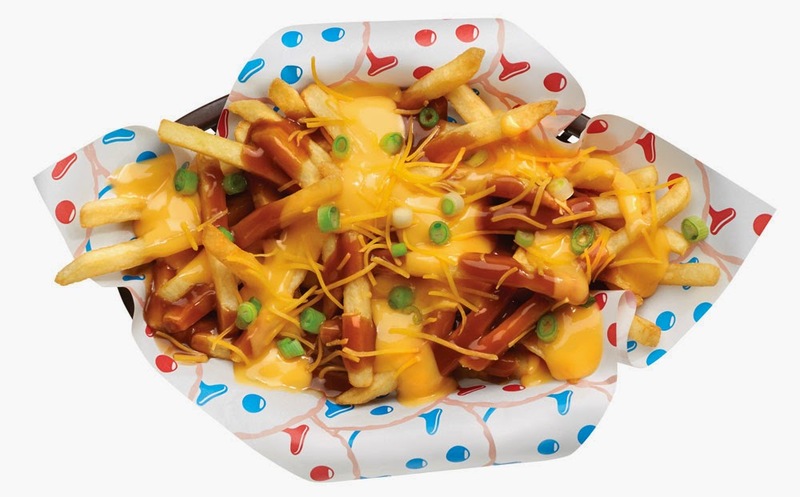 These fries are topped with gravy, cheese sauce, and green onions. We finish it off with even more shredded cheddar cheese. Perfect to share with friends, or enjoy yourself! Feeling even more adventuresome? 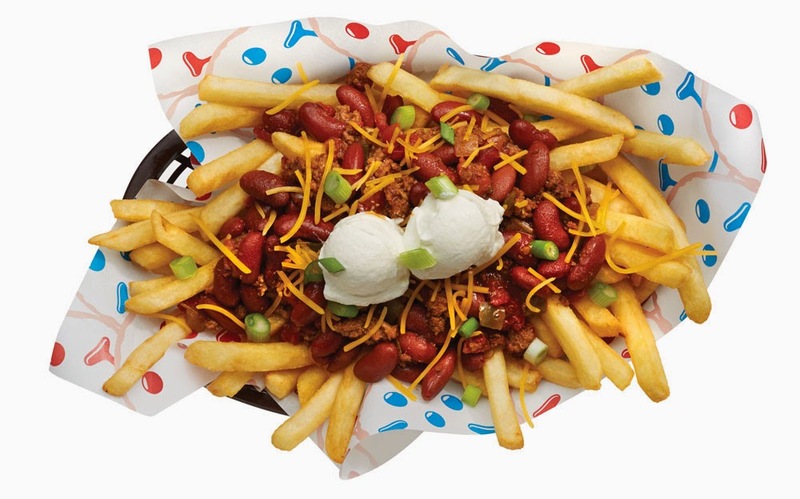 We pile on our homemade chili over crispy fries, add shredded cheddar cheese, and top it off with sour cream and green onions. Giddy up! So what are you waiting for? Stop into your local Eat'n Park tonight! These items are only available after 11 PM, and not all of our locations are open late-night. Click here to check the hours of your local Eat'n Park. Here’s a special lunch treat for you: take $1 off your next lunch at Eat’n Park, now through Sunday, April 13, 2014! Just click below to print your coupon. Valid 11AM - 2PM. $5 minimum purchase required. Coupon expires Sunday, April 13, 2014. Want to receive great Eat'n Park coupons delivered right to your inbox? Sign up for Smiley's Email Club! 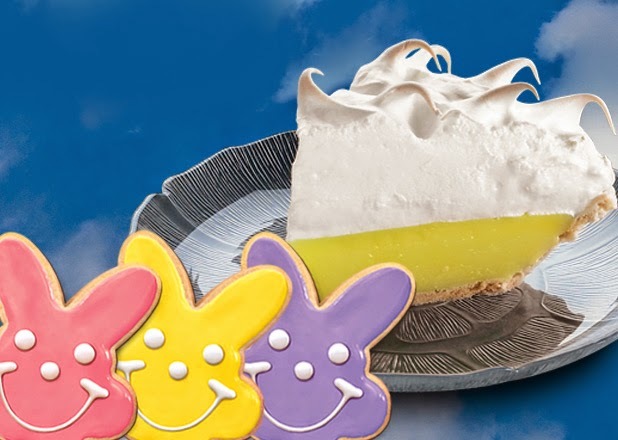 Easter is only a few weeks away and whether you're in charge of bringing the cookies or the pie, we're your one stop Easter Bakery shop! Let's start with our pies. Choose from fresh made pies like Oreo Crème, Coconut Crème, or Apple – we have something for everyone! And if life is giving you lemons, then try our Lemon Meringue pie! It's on sale this month for just $7.99. Why bake when you can order a pie from Eat'n Park? Call ahead to your local Eat'n Park to place your pie order today. Don't forget about Bunny Smiley Cookies! Sure to bring a smile to anyone's face, these cookies are always a hit in an Easter basket, the office or school parties. Plus, they're on sale for just $6.99 through April 20th. That's an egg-ceptional deal! And if you are looking to send some bunny love to someone out of town, stop by SmileyCookie.com! 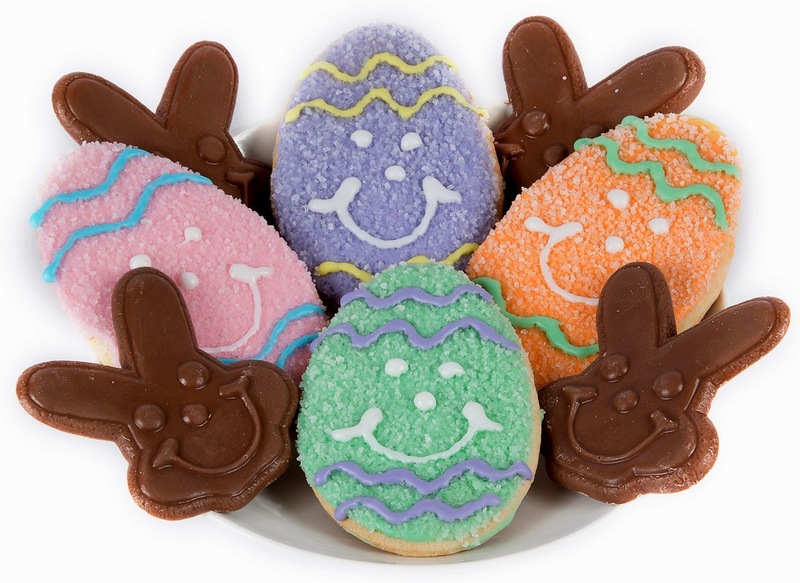 We have sugar dusted Egg Smiley Cookies and Bunny Smiley Cookies dipped in Sarris milk chocolate. YUM! Plus, enjoy $5 off any order over $20 by using the code "EGG". (Coupon expires at midnight on April 11th and does not include gift cards.